Stone built, and originally a pair of cottages, this building was one of only six which, in 1839, lay towards Stow Hill from the church. All were on the flat south-west side of the road. 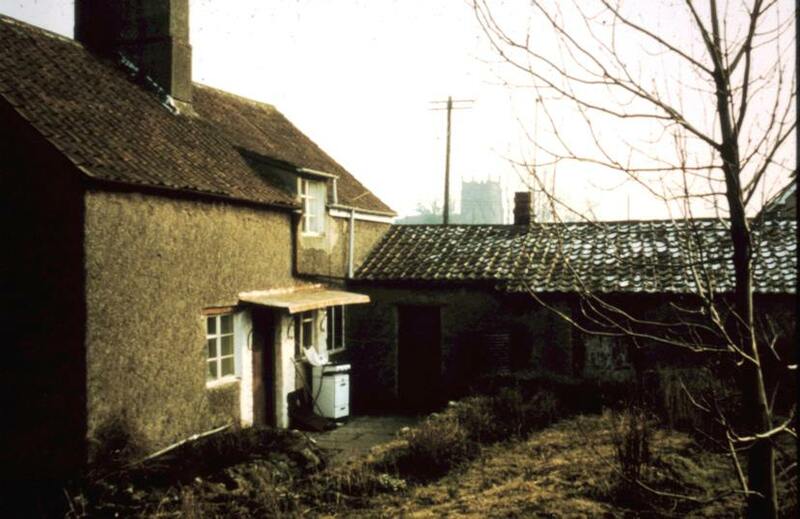 The earliest records, in the Tithe Award of 1839, show that Ivy Cottage then belonged to Lawford Pullen, a farmer and maltster at Yew Tree Farm next door. An agricultural labourer and his wife lived in each of the two cottages. The shoemaker and grocer, in the dwelling opposite the church (demolished about 1890), was Thomas Daniels (senior), with his wife Amelia; although here they were tenants, they owned a cottage in the village and would seem to have accumulated savings. On Thomas's death, in 1841, Amelia kept the grocer's shop going while their elder son Thomas (junior) moved in to continue shoemaking. Meanwhile, the younger son, Richard, at first an apprentice shoemaker, was later farming Yew Tree Farm after Lawford Pullen moved away. It seems likely that Amelia Daniels had bought Yew Tree Farm, for by 1861 she owned Ivy Cottage. In her '70s, she herself moved in to one of the cottages where she is described in the census as a `Fundholder'. The other cottage had been occupied from the 1830s by John and Mary Sansome. John died in 1857 aged 76, but Mary, eking out a living as a charwoman and laundress, lived on in the same cottage until 1881, when she died at the age of 93. The cottages were then made into one, and occupied by Mark Cole, who became the new Squire's gamekeeper and woodman. Born in Oldbury, Mark Cole became one of the village characters, and a trusted outdoor servant during the whole of H L Hardwicke's life in the village. The wood through which New Road runs was planted by him and he died a year after the Squire, in 1936, age 88. When in 1931 some doubts arose about the validity of the Squire's title to certain properties, it was Mark Cole who was called upon for a Declaration. 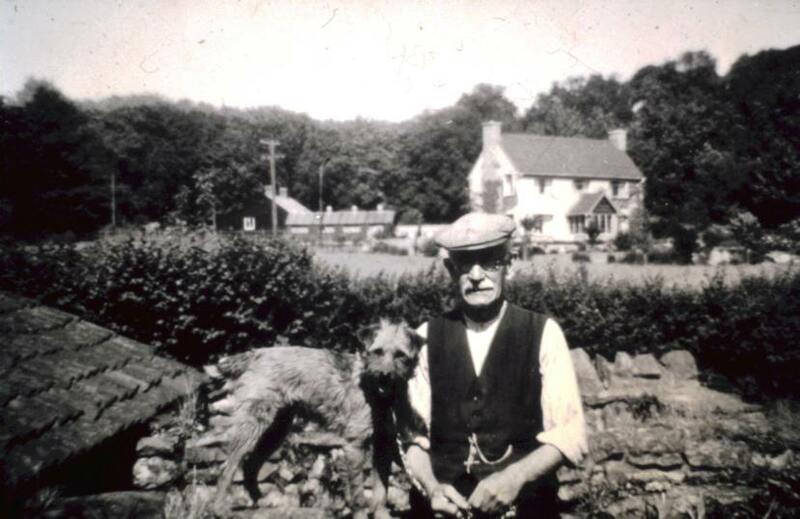 Ray Perry, of a former Itchington family, tells how his father, an apprentice carpenter lodging with the Coles at the end of the last century, used to watch where Mark Cole earthed up foxes for the Squire's hunting. He would then creep out at night, loose and catch the foxes in sacks, kill them and send them by train to Bristol to the furriers. His father later married Hannah Daniels of Hawkins's who at the age of 12 was already working in the kitchen at The Grange. Meanwhile, Amelia Daniels had died in 1864, leaving the property, not to her sons, but to her only daughter, Susannah. Susannah Roberts, living in Westbourne Park, London, outlived her two sons, surviving until 1909. 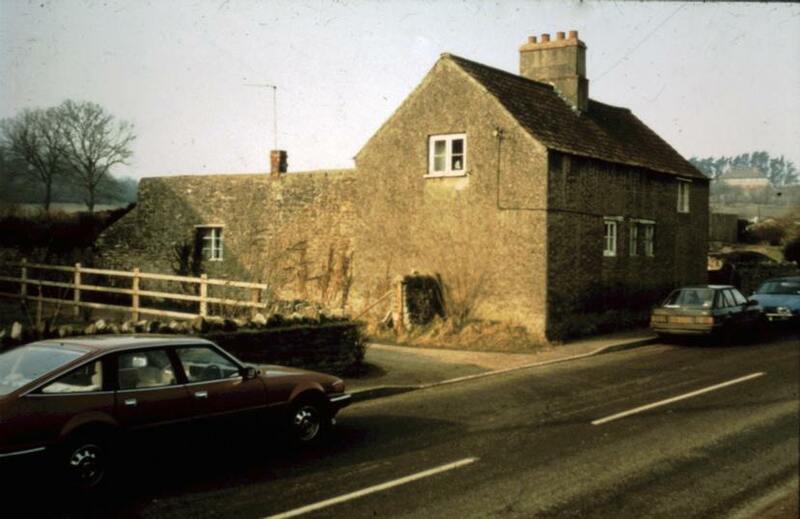 So, on her death, the ownership of Ivy Cottage reverted to Tytherington, to Thomas Daniels (the third), her eldest nephew, who had moved into Hawkins's in the '70s. He was the only son of Thomas (junior) and Sarah, was born in the house opposite the church, and brought up at Hawkins's a family of eleven children, six of whom were boys. About 1912, Thomas, then aged 64, handed the tenancy of Hawkins's to the eldest of his sons who were still at home, Hector, and moved, with their two unmarried sons John James (lack') and George, into Ivy Cottage. (Mark Cole moved across the road into one of Squire's newly built houses). George died as a result of the 1914-18 War, Thomas died at the end of 1918 and his wife Mary in 1921. Ivy Cottage then passed to Jack, who shortly after, in 1922, married Dorothy (nee Dunn). 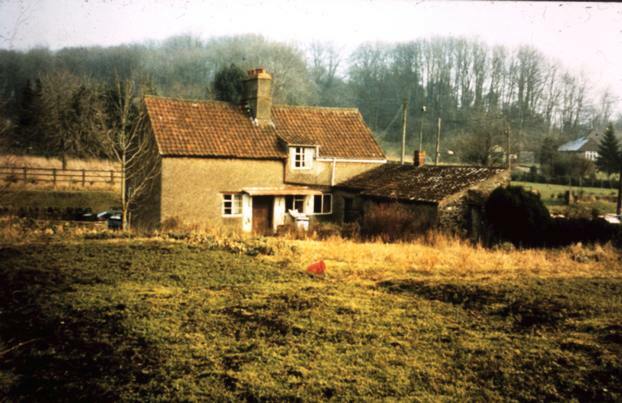 Jack died in 1963, but Dorothy continued to live in Ivy Cottage until her death in 1986. The Cottage has now been demolished. More photos of Ivy Cottage below. Click on them to enlarge.